I'm sad to say that this year I missed the Belk Spring Fashion Tour with Belk's Fashion Director, Arlene Goldstein. Her tours are an event I look forward to twice a year. Even though I wasn't able to attend this year, as always, I have a peek into the Belk Spring Fashion Preview just for all of you. This season, Arlene focused on four style statements, including Garden Party, Sport Chic, Spare Me and Islander. Dreamy pales, whites, florals and lace-like textiles. Performance fabrics like jersey, nylon, athletic-inspired hoodies, bombers and stylish sneakers. A-line, columns and trumpet skirts, along with tunics, over-sized shirtings. Pattern mixes, wraps, exotic details, eye-catching bright colors. Arm candy, big gold hoops, statement earrings, head wraps and strappy sandals with bold bottoms. 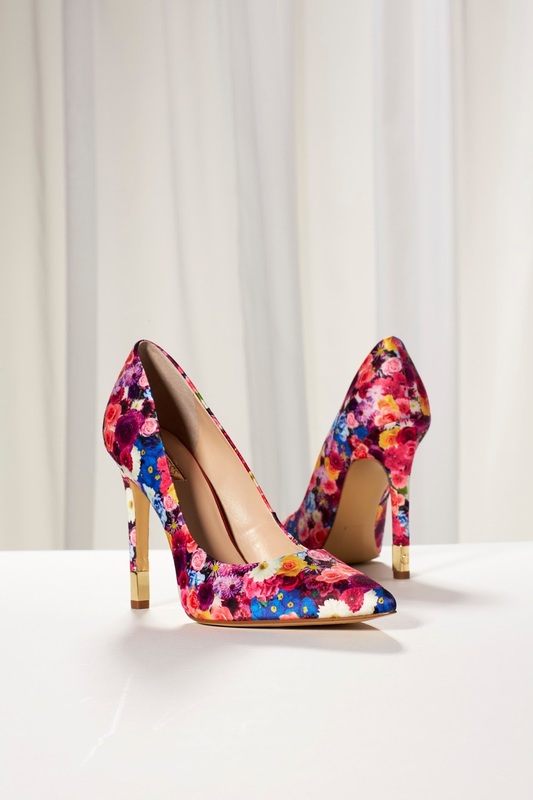 See more of the Belk Spring Fashion Preview HERE. Which style statement is your favorite? Are there items you'll be picking up on the most wanted list? Jumpsuits and Kimono's are definitely on my list… COME ON SPRING!!!! wooohooo…. I really like the Spare Me dress. I don't shop at Belks but I need to start checking them out because it looks like they have great outfits for spring. Thanks boo! This was my first time wearing this sort of style, but I love it! I love the colors in that dress! I'm not sure how Belk is where you are, but we have a huge Belk in Raleigh, NC. I love shopping there because they have a lot of designers, a huge shoe section and not to mention sales. You should definitely check them out! I still hate I missed it this season! When I go, I normally just look at the clothing for inspiration, but I agree that it would be nice to see more plus size selections. You would be surprised at the designers offered in Belk now. I love their store and the one near me has a HUGE shoe selection. You should definitely check them out! I haven't gone to a Belk in many many years but after seeing these fashions I might have to take a little trip to Belk!!! You should definitely check them out! I love BELK!